On October 24 at Paliku Theatre, Esther Yoo (director, Honolulu Symphony Chorus and Honolulu Chamber Choir) and pianists Thomas Yee and Grant Mack premiere BUMP!, a 17-min. Halloween-themed work for chorus and piano four-hands. (Yes, that's right -- from "things that go BUMP in the night.") Kudos to choreographer Amy Schiffner (UH Mänoa faculty), lighting designer Lloyd Rifod, and the terrific dancers from the UH Manoa dance department for creating a very mysterious and hallowed eve atmosphere. Thanks to the Honolulu Mayor's Office on Culture and the Arts for generously supporting the commission and performance. Chamber Music Hawaii premieres part one of Päka`a: Lanakila! Thanks to a generous American Composers Forum ENCORE program award, "America's favorite string band" performs Outta This World at the Red Cliffs Adventure Lodge (also supported in part by a grant from WESTAF). Then, a few weeks later, they land in St. Petersburg for a Russian concert tour supported by CEC ArtsLink, which includes performances in St. Petersburg, Petrozavodsk, Kaliningrad and Moscow. Here's a fun blog of their Russian debut. Thanks to a generous Meet The Composer award, Jon will participate in ETHEL Foundation for the Arts' presentation of Outta This World on May 13 at the Carnegie Hall Neighborhood Concert in LaGuardia Performing Arts Center. Thanks to a generous award from ACF's ENCORE program, ETHEL will perform Jon's first string quartet (it's been 11 years since Outta This World's premiere!). ETHEL will be performing the "unplugged" version in May. The Honolulu Symphony Chorus, directed by Esther Yoo, presented Psalm 23 for SATB chorus and organ, at St. Andrew's Cathedral in Honolulu, with John Renke at the organ. Hawai`i Youth Opera Chorus performs "Christmas Bells"
The Hawaii Youth Opera Chorus, directed by Nola Nahulu, presented the Hawai`i premiere of Christmas Bells for 3-part treble chorus and piano, atKawaiaha'o Church in Honolulu. The Symphony Chorus joined with the Hawaii Youth Opera Chorus to present "A Festival of Psalms", which featured the Honolulu Chamber Choir's premiere of Psalm 23 for SATB chorus and organ at Kawaiaha'o Church on November 25, with Buddy Naluai at the organ and conducted by HSC artistic director Esther Yoo. Jon contributed some original music for this TV version of State of Aloha which premiered on PBS Hawai`i on August 27. Directed by Anne Misawa of the Academy for Creative Media (University of Hawai`i at Manoa), the feature-length version will show at the Hawai`i International Film Fest (October). Originally composed for solo voice and piano, these new arrangements are scored for SSAA and SATB with piano/organ (approximately 4 minutes in duration). Commissioned by the Halekulani Corporation in celebration of the 25th Anniversary of the Halekulani Hotel redesign, the Honolulu Symphony Brass Quintet (including 2 fine percussionists!) premieres Fanfare for Halekulani at Halekulani Hotel, Coral Ballroom. One of the final performances of the 2008-09 year for HYOC -- Nola and those young ladies do a great job! Performances took place at Kamehameha Schools Kea’au Performing Arts Center, Kea`au, Hawai`i Island, and featured students from Kea`au Elementary and Kamehameha Schools, Kea`au. Performances launch 2008-09 education season with collaborating public and independent schools from O`ahu and Hawai`i Island. Hawaiian Medley is based on the late Nola Beamer's Pupu Hinuhinu and Kahuli aku, and scored for symphony orchestra with 2-part children’s choir and 2-part recorder choir. Based on Song of Solomon 2:10-13 from the Latin Vulgate Bible, the 5-minute choral work for 4-part treble chorus and piano was composed for Nola Nahulu and Hawai'i Youth Opera Chorus' Na Leo Kuho'okahi ensemble for the November premiere at the Hawaii Music Teachers Association annual state convention. Many thanks to the HMTA and Music Teachers National Association for generous support of this project. Jon conducts high school and advanced treble voices in Benjamin Britten's "A Ceremony of Carols" at the Festival; also on the Festival program is Jon's newCanticum. Based on Song of Solomon 2:10-13 from the Latin Vulgate Bible, the 5-minute choral work was composed for Nola Nahulu and Hawai'i Youth Opera Chorus' Na Leo Kuho'okahi ensemble for the November premiere at the Hawaii Music Teachers Association annual state convention. Many thanks to the HMTA and Music Teachers National Association for generous support of this project. Visit the OUP page here. 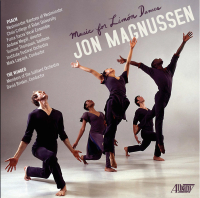 Albany Records releases "Jon Magnussen: Music for Limón Dances"
The Limón Company takes Psalm to the Budapesti Tavaszi Fesztivál. See the next stops on the tour here. Visit Jon's OUP page here. Early Attic Music (ASCAP) offers "Christmas Bells"
The 5-minute Christmas Bells, for 3-part treble chorus, treble solo and piano, is based on Henry Wadsworth Longfellow's pro-peace/anti-war poem from 1863. Click here to hear Cornell University Chorus' recording (dir. Scott Tucker). Click here to inquire about sheet music. Dances Ebb, Dances Flow, the 22-minute quartet was performed by Ebb and Flow Ensemble (Robert Pollock, piano; Iggy Jang, violin; Joanna Morrison, 'cello; Scott Anderson, clarinet) at KHPR's Atherton Studio (Honolulu) in cooperation with Hawai'i Public Radio. Special thanks to the Argosy Foundation for supporting the 2006 commission. 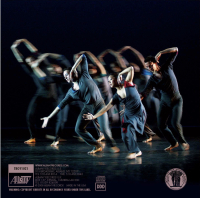 Created by choreographer Rachel Berman with kumu hula Patrick Makuakane, the premiere took place at the American Dance Festival in Durham, North Carolina, with Jon's incidental music. Oxford University Press assigns Psalm and The Winged (and the rest of all OUP music rental catalogue) to C.F. Peters for distribution. Please click here for current rental information. Jon coaches young performers from Westminster Conservatory at a workshop performance of his new Seven Shorts, for solo piano, commissioned by James Goldsworthy, director of New Works for Young Pianists Commissioning Project (and Professor at Westminster Choir College at Rider University). Special thanks to James and his wonderful young performers for digging in! Two Dances from “Dances Ebb, Dances Flow” performed by the New York New Music Ensemble at Merkin Concert Hall, New York City. Psalm was recorded at Queen of the Miraculous Medal Chapel in St. Joseph’s Seminary, Princeton, by the Westminster Kantorei and Fuma Sacra of Westminster Choir College of Rider University, Andrew Megill, director; Sumner Thompson, baritone; Institute Festival Orchestra; Mark Laycock, conductor. Very special thanks to the following for making this project possible: Institute for Advanced Study, Fowler Merle-Smith Family Charitable Lead Trust, Larry Magnussen, Lois Magnussen, and the Aaron Copland Fund for Music Recording Program of the American Music Center. • Click here for pictures!